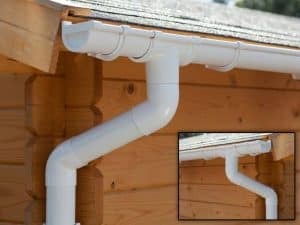 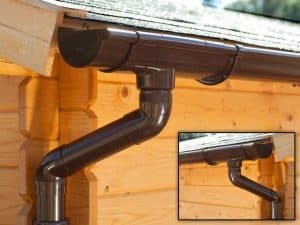 Why not add a finishing touch to your cabin with a guttering kit? 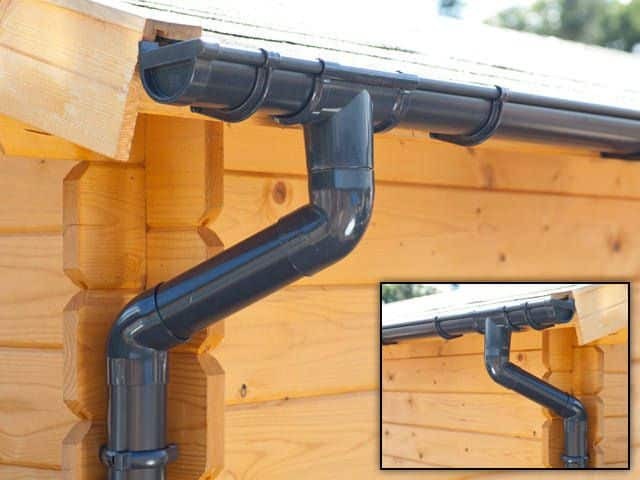 You can chose between plastic PVC and galvanized zinc gutter sets. These guttering kits are made for easy DIY installation and come with a detailed installation manual and everything you need included. 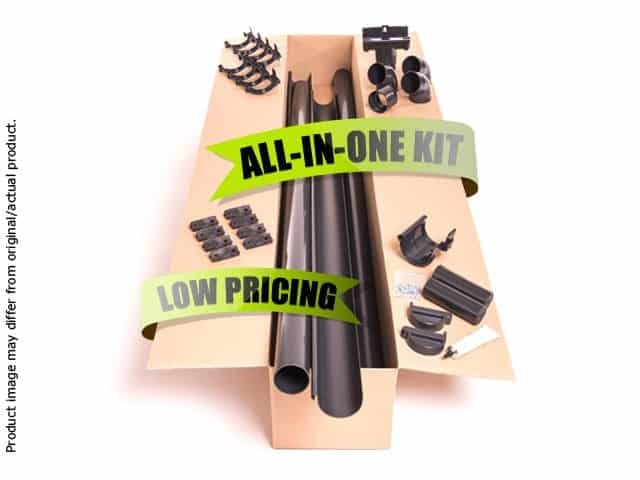 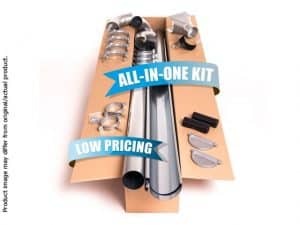 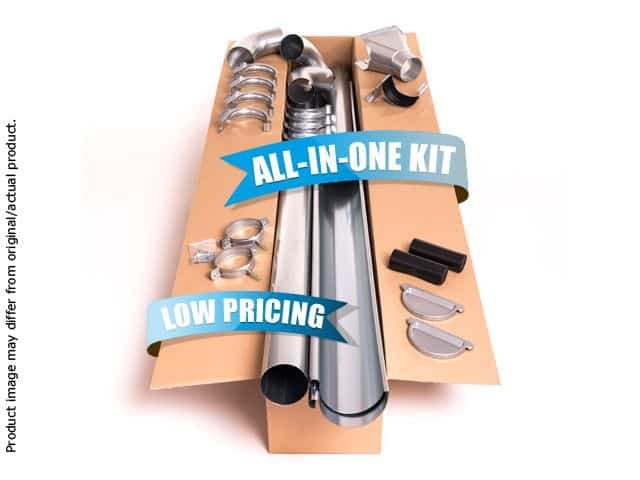 Guttering kits contain all the parts you need for a total installation. They include the gutters themselves, gutter union brackets, fascia brackets, stopends, running outlet, round down pipe, offset bends, pipe clips, and screws. 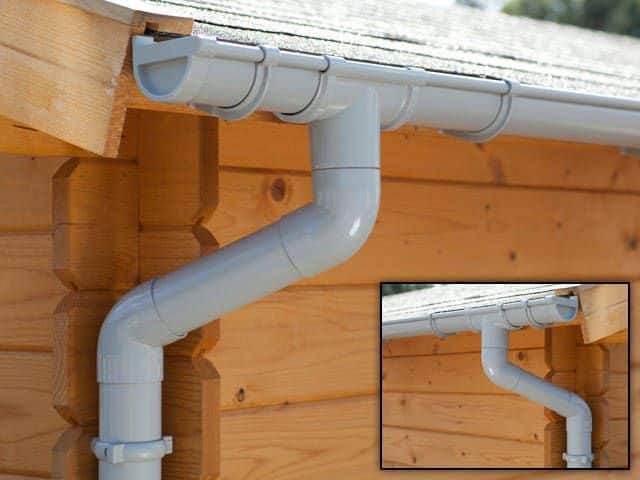 These quality Dutch made roof guttering kits also include other problem-solvers, such as angled fascia bracket adapters (for PVC guttering) and PVC dripping strips . 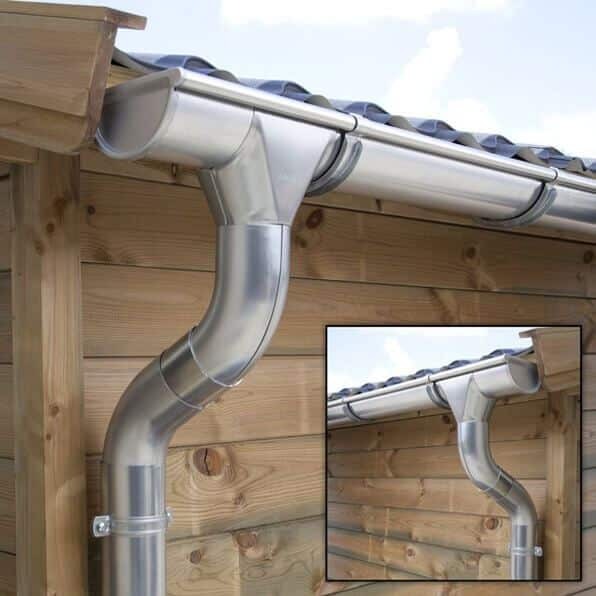 Available in a range of colours and super smart Zinc finish for a really modern look. 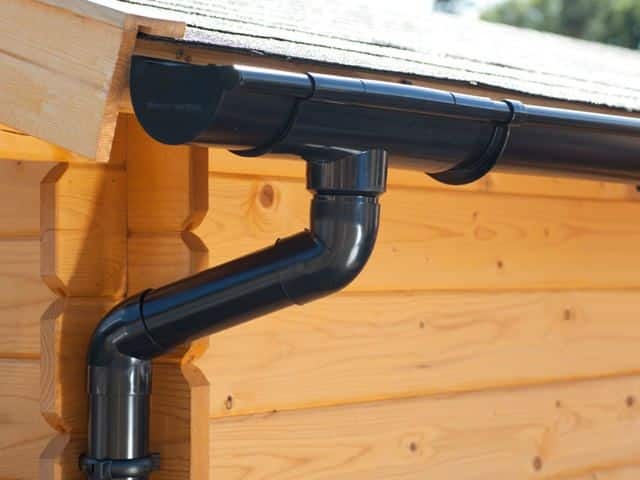 Plastic gutters are available in Black, Anthracite, Grey, Brown and White. 10 Year Factory Guarantee on all PVC gutters and 2 year guarantee on Galvanized Zinc guttering.